We design and develop solutions that bring even the most complex material to life for the learner, consistently yielding that “Ah Ha!” moment that enables your organization’s learners to be more effective in their roles. Time and again our training-director clients tell us how our solutions enabled them to shine by delivering tangible value to their internal customers. No matter what your training needs are, our proprietary process and experienced team will ensure that you receive the solution that delivers the results you need on time, on budget, and on scope. 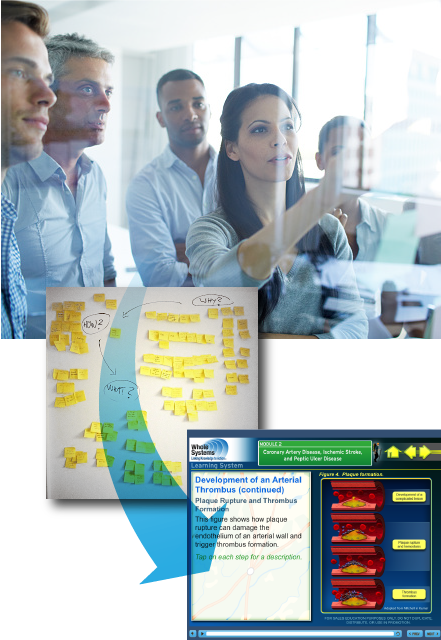 Browse our Custom Learning Solutions to see some of the extensive range of learning solutions that we can deliver for your organization.